11 Apr: Kiddikicks Office is closed for the Easter break until April 23rd. Please email info@kiddikicks.co.uk for help. Hi! Thanks for visiting us, London's number 1 kids' football coaching site. Established since 2005 in Brentford, Chiswick, Richmond, Sheen, St John's Wood, Hyde Park, Victoria Park, London Fields, Twickenham, Queens Park, Regents Park, Maida Vale and Kensal Rise. Our aim at Kiddikicks is simple. 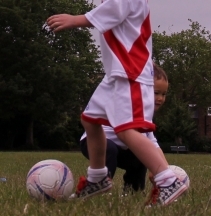 To provide the very best kids' football coaching for toddlers and children in London from 18 months of age to 11 years. At Kiddikicks parents are important too! 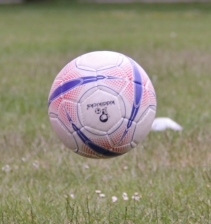 You have to be there but you can be active too - Kiddikicks encourages parent participation in their toddler's football sessions and lots of encouragement from the sidelines for older players.